Valletta 2018 - the capital city of Malta was declared European Capital of Culture by the European Union for the year 2018 back in October 2012. This includes, taking care of project together with a partner Dutch city, Leeuwarden. The aim is to promote activity around the Maltese Islands and territory and collaboration between these two cities. The Valletta 2018 Foundation is responsible for this project which will promote all the cultural programmes with a hope to boost the people of Malta and Europe closer together. Find more details about the above activities by clicking on the "VALL18" link of every month. Encouraging them to take part in the multitude of activities throughout the forthcoming year 2018. It also aimed to continuously encourage lifelong social, economic and cultural development of Malta. This Cultural Programme is made up of four themes: Generations, Routes, Cities and Islands. 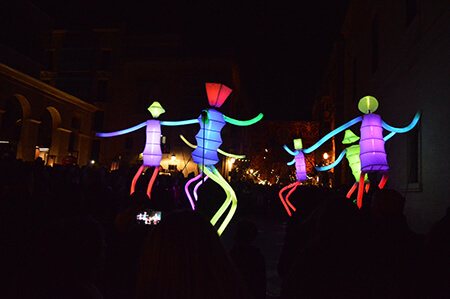 The European Capital of Culture is responsible for organising the events and cultural activities for a duration of one year. It is a great scope for the city to implement cultural, social and economic benefits. Through this it gives the local city further popularity and boost its image on the international scale. Through this 40 cities have been nominated so far since 1985. An international panel of people with a great knowledge of cultural expertese are in charge of these proposals of cities. The Valletta 2018 will coordinate with the Dutch city of Leeuwarden, the capital of Friesland. This is an opportunity to create the best possible level of exchange with successful completion of all activities. This is done in order for the two cities to work hand in hand to create and exchange cultural practices and experiences. By having all this Malta can grow as a cultural and artistic place in the centre of the Mediterranean. In fact a number of locations within Valletta not presently used are being refurbished to be used for festivals and will be joined together and developed internationally throughout the year. 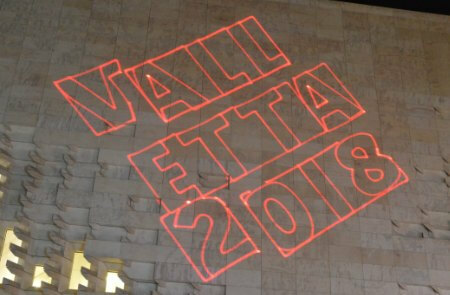 Certain festivals are new to the Valletta 2018 programme. The following are to the established and renovated by the new name given for Malta’s new museum. The national museum of art, the Valletta Design Cluster, the indoor market on Merchants Street, and the regeneration of Strait Street. MUŻA will relocate to the Auberge d’Italie, a historic building dating back to the late sixteenth century and used as the seat and residence of the Italian knights of the Order of St John. 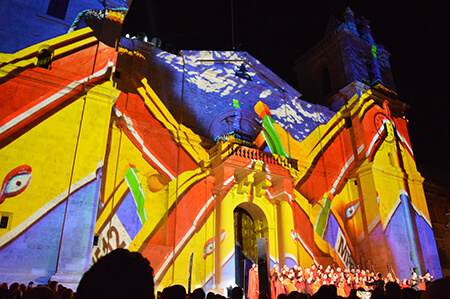 During the activities for the Malta Arts Festival, which will be for three weeks long, the Old Opera House and Freedom Square will be arranged into an artistic activity. This will attract many people who love music, art, dance, theatre and literature. The planning of this festival will be for all to meet and speak with the artists. This is an opportunity for the general public to have a one “artistic experience”. The way it is being created for people to walk around a sculptured garden in Freedom square, 30 artistic works will be on display. Short plays, literary readings and mini-concerts will be held. Modelling sessions in clay will be held every weekend. The magic-Tree will be in display for the children. They have to climb 4 metres high and catch a butterfly. The Old Opera house will also be transformed to its originality in the first half of the last century. The European Capital is a programme for Malta to flourish and people will be more aware of these activities happening in our capital city Valletta. So many activities will be ongoing including is-Suq (the market) selling not only fruit and vegetables but will serve as a hub of activity. Strait street will also serve a place of activity. So many activities will be organised like exhibitions, theatre productions, seminars, symposia, talks, street theatre, jamming sessions, outdoor concerts, fashion shows, networking meetings with artists and poetry and literature evenings.